How can we determine the profile used by a portable class library project? I have seen the question frequently thrown at me in some of my talks. This question is generally raised as soon as I explain how profiles are used by portable libraries. So I thought for the interest it would be beneficial for the Microsoft developer community if I create a separate post about this. Here we are using Visual Studio 2012 RC for this example. The release version should have the same behavior. 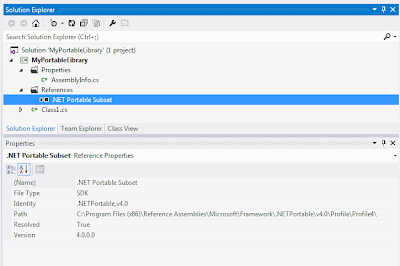 Let's open the portable class library project, named MyPortableLibrary, created in the previous example in Visual Studio. 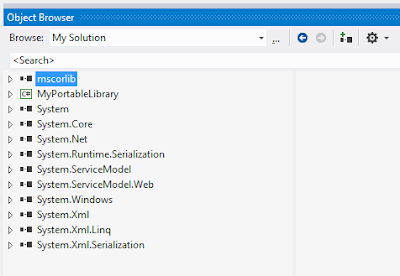 In order to see the selected profile for the project, let's open the solution explorer and expand References section. 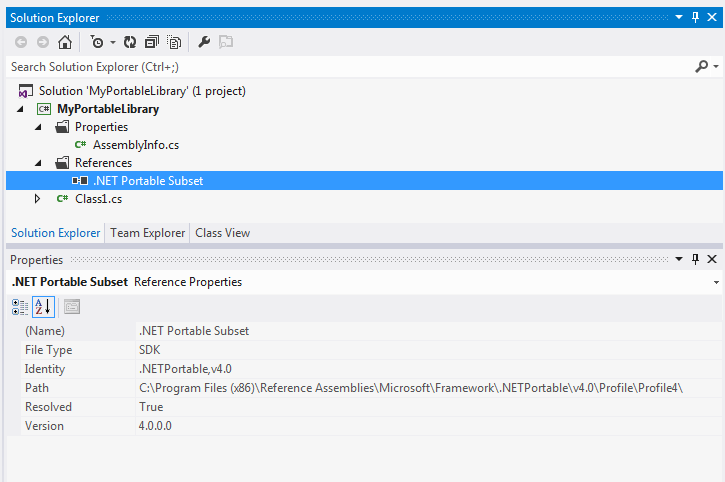 You should only see .Net Portable Subset if you haven't added any other assembly references manually. 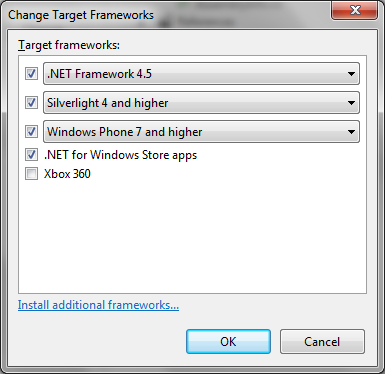 Right click .Net Portable Subset and select Properties. The Properties should be opened with the following display. Here you can see that the project is targeted for Profile4. You can see the details of the profiles by following the profile path. 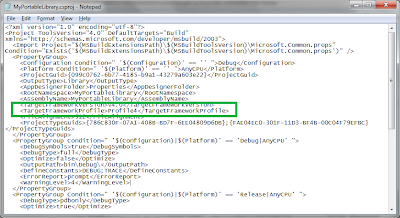 In Visual Studio, you can also see the referenced assemblies for the target profile. Just open Object Browser window and select My Solution. 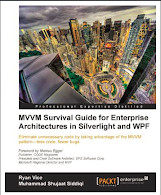 Is it possible to find out which profile the project is referencing on a non-developer machine? Generally, you wouldn't find Visual Studio installed on such machines. These profiles are standard profiles provided by Microsoft. Actually the profile info is part of project definition. You can open the project file [*.csproj for c# projects] in any text editor and find the profile info. Here we have opened the project file in Notepad. Obviously you can see the same in Visual Studio as well. 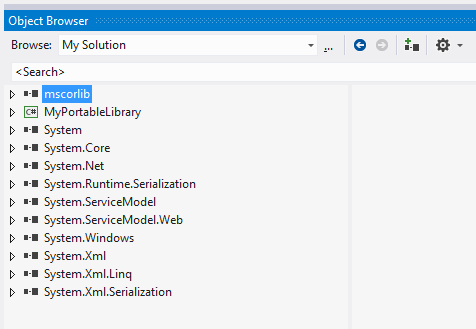 Just unload the project in Solution Explorer and Edit Project file. You should be able to see this. Profile info is also available in assembly manifest. 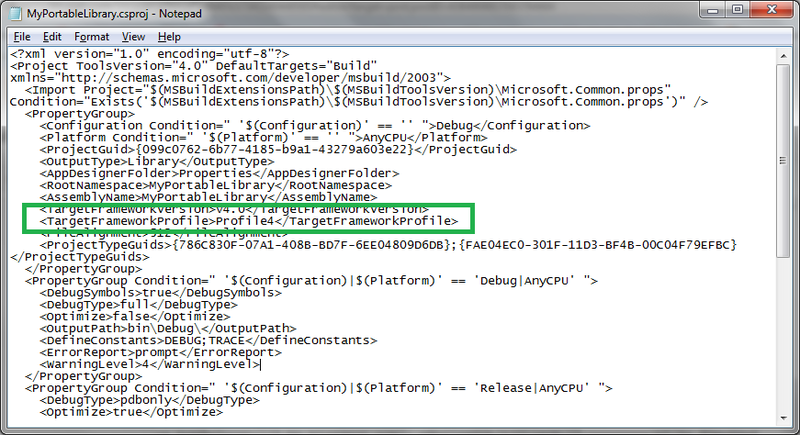 Just look for TargetFrameworkAttribute and you should be able to find the actual profile that the assembly is targeting. Here we have used the manifest from one of our previous posts.